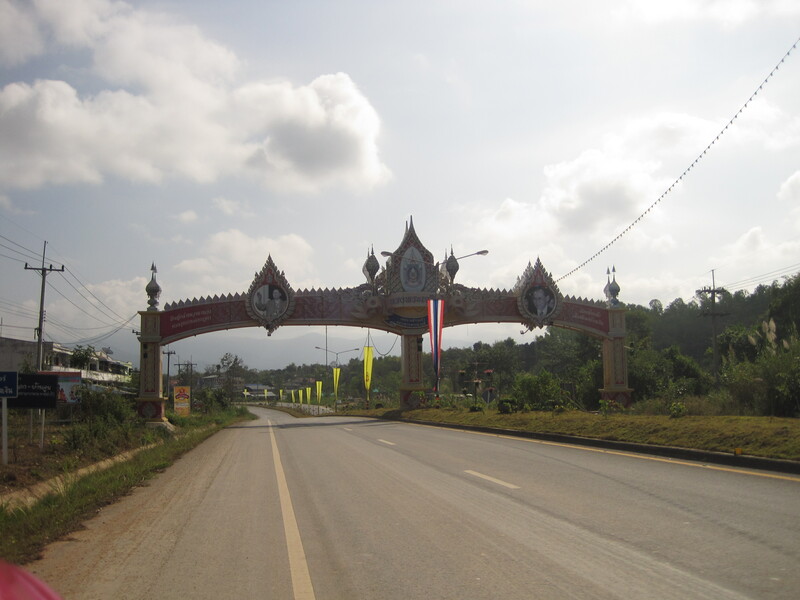 Our adventures in public transit brought us to Uttaradit, a town somewhere between Bangkok and Nan (but definitely not our intended destination). At 8:00 a.m., in a moment made especially surreal by sleep deprivation (caused by an unhelpful combination of all-night karaoke “entertainment” and overused air-conditioning), the entire station ground to a sudden halt. All the TVs suddenly switched to images of waving flags and happy Thais in front of elegant government buildings. All the waiting passengers leapt to their feet. 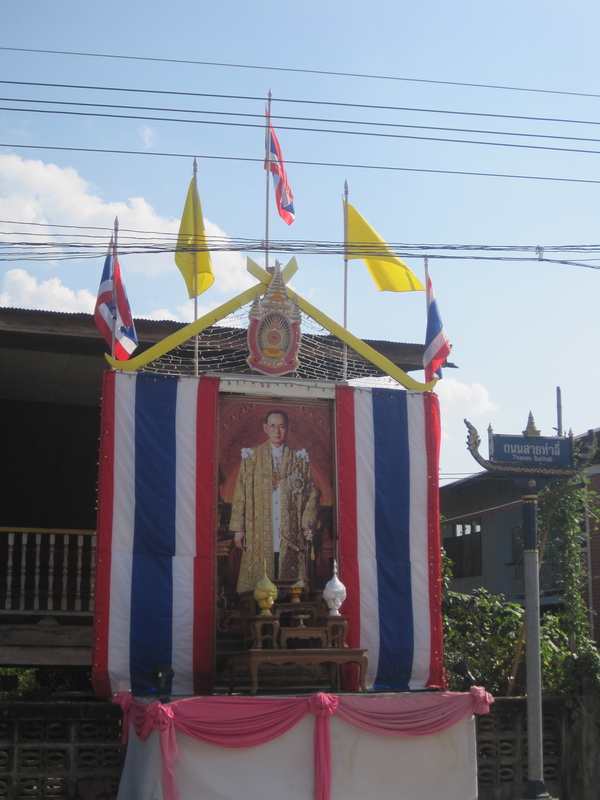 Loudspeakers from somewhere unseen started blaring the king’s song, and everyone started singing. I'd make a snide comment about monarchy, but you can get arrested for that. They are really into that guy. I celebrated my arrival in Nan by trying to burn-off a few calories acquired from binging on Roti (absurdly delicious crepe-like things, on which you can get nutella, or peanut butter, or chocolate… or all three). Jackie gave me detailed instructions for getting to the tow-path along the river, but I “opted” to go exploring in all three cardinal directions that did not lead to the river. I find that getting lost is the best way to explore a new place, anyway. Upon my return, I walked to the corner store to buy some bottled water. I think because I’ve been in tourist-y areas, I hadn’t yet fully experienced Thailand as “The Land of Smiles.” This woman, however, seemed to think everything I did was hilarious. The way I opened the refrigerator, reached into my pocket, fumbled to find the right coin were all cause for laughter and smiles. I wish I could be that entertaining in the west. If—one year ago—I were asked to design a perfect day with Jackie, I probably would not have envisioned a day spent motorcycling around Northern Thailand. Despite being far off my radar screen for perfect dates, though, I can’t think of any way to spend today that would have made me happier. Just one week ago, I was in a place that had sun. 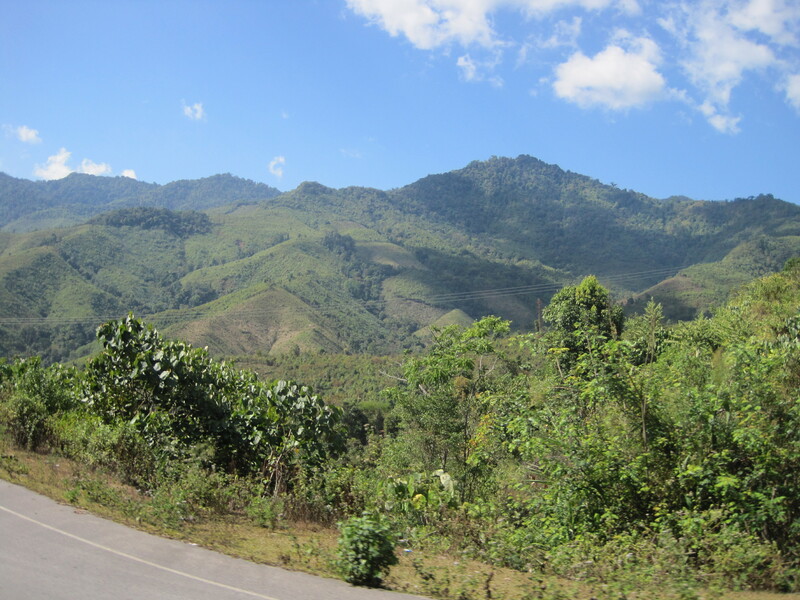 We rented a motorbike in Nan and headed east towards the national parks. 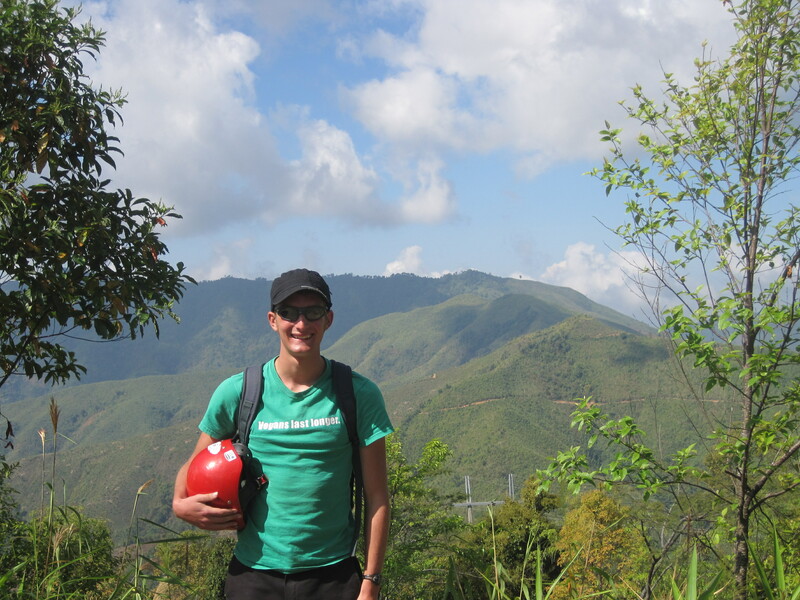 At first, the terrain was flat, but after about 50 kilometers, we started rising above the rice paddies and water buffalo into the mountains. On the way out of Nan. Eventually, we sputtered up to Doi Phu Kha, which, like most of the beautiful places in the world, doesn’t lend itself particularly well to being photographed. 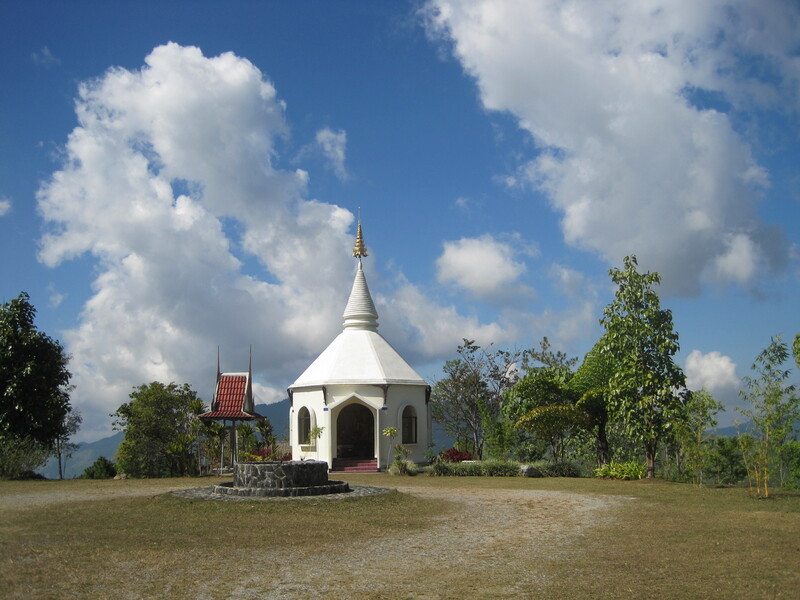 Nice location for a Wat. 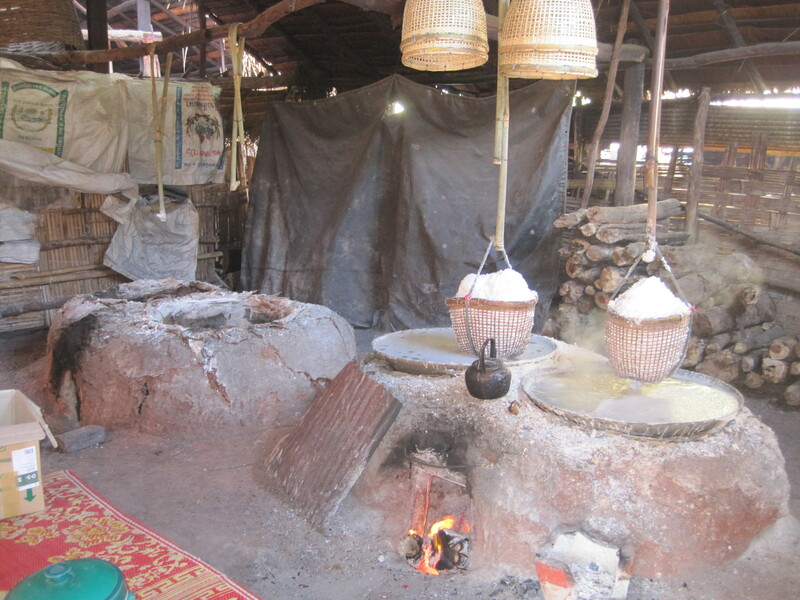 The other side of the mountain brought us to Bo Klua, a village nestled in a ravine. We grabbed noodle soup from a tiny restaurant run by an adorable old lady, and visited an 800-year-old salt mine. 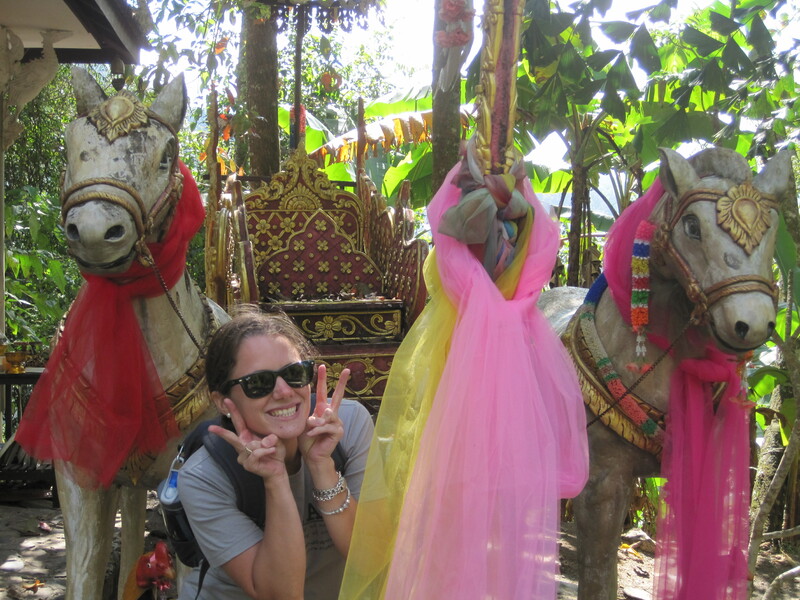 Apparently, in Asia, you always have to make this face in pictures. The ride home, though, was my favorite part. Motorbikes are a fabulous way to travel, because you get to combine the convenience and speed of modern transportation with the sense that you’re actually outside doing something. (I’m not sure why motorbikes aren’t more popular in the U.S., since they seem to be big in Europe, Africa, and Asia.) I should that Jackie did a fabulous job driving, getting us up hills which the engine could barely conquer and dodging all two cars we saw on the 100 kilometer ride. We made it home around sunset, in time to visit a Wat and grab green curry with tofu from the night market. I had the luxury of taking pictures while Jackie had to figure out how to get a tiny bike up a mountain. 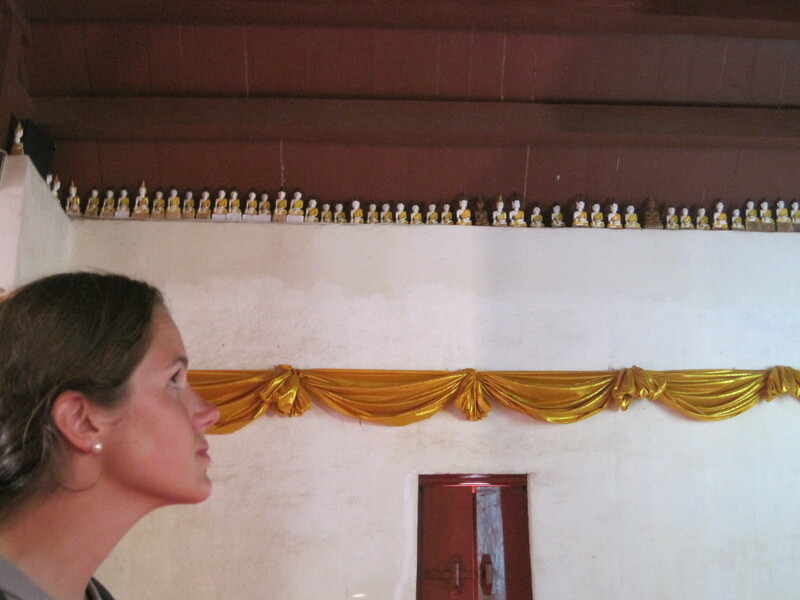 Hundreds of little buddhas! I feel like it would be sacrilege to call them cute. One of Jackie’s roommates’ friends asked us which bars we had visited on Ko Phi Phi. When I responded, “Uh, none,” I could see in his face that he thought we were lame. I, for one, feel pretty smug: this is the best vacation ever.